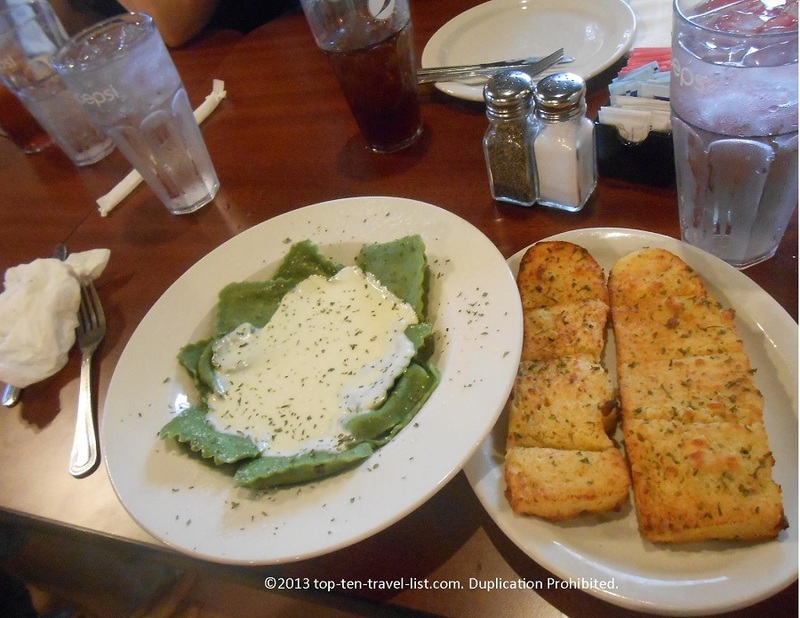 Angelo's: Great Local Italian in Dixon, Illinois - Top Ten Travel Blog | Our experiences traveling throughout the US. 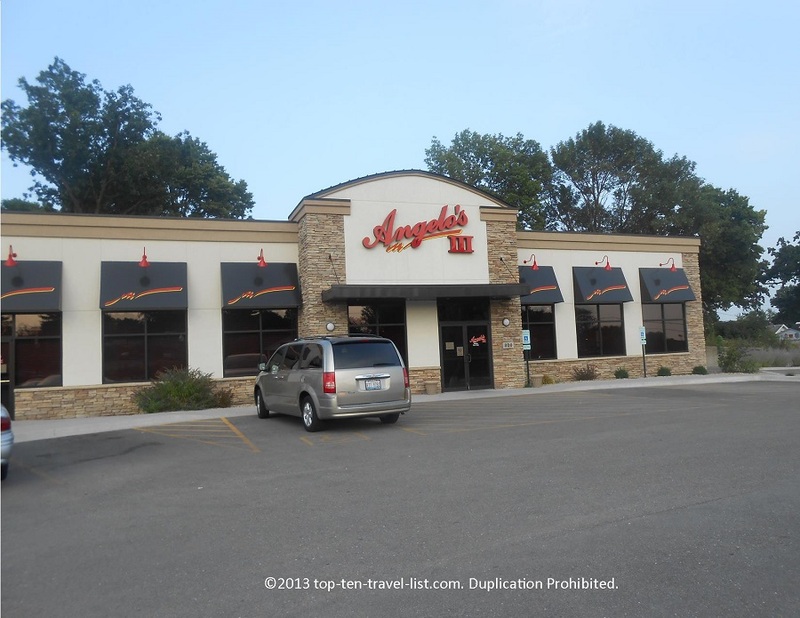 Angelo’s is a local pizza/Italian restaurant with multiple local locations, including Sterling, Rock Falls, and Dixon. 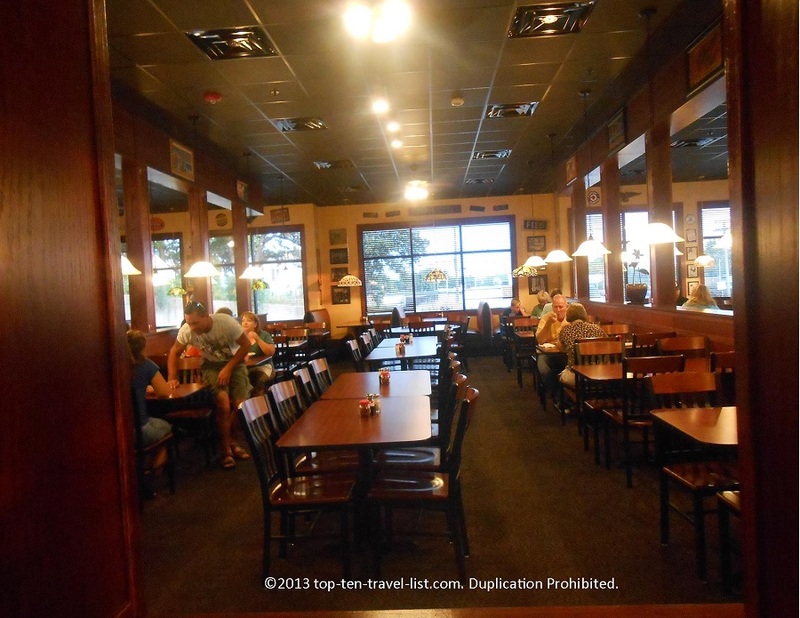 We decided to visit the new Dixon location on our recent stay in the area. 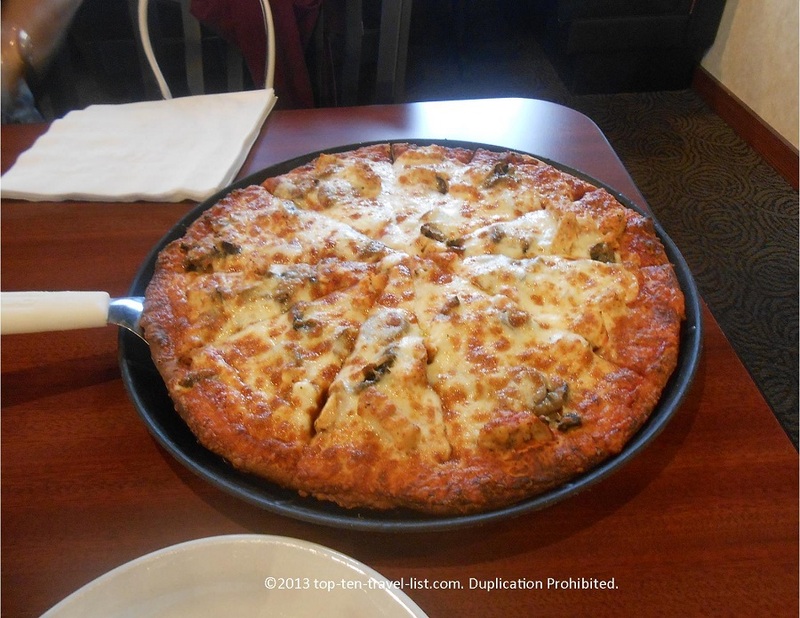 A few family members in town recommended the restaurant for their great pizza! 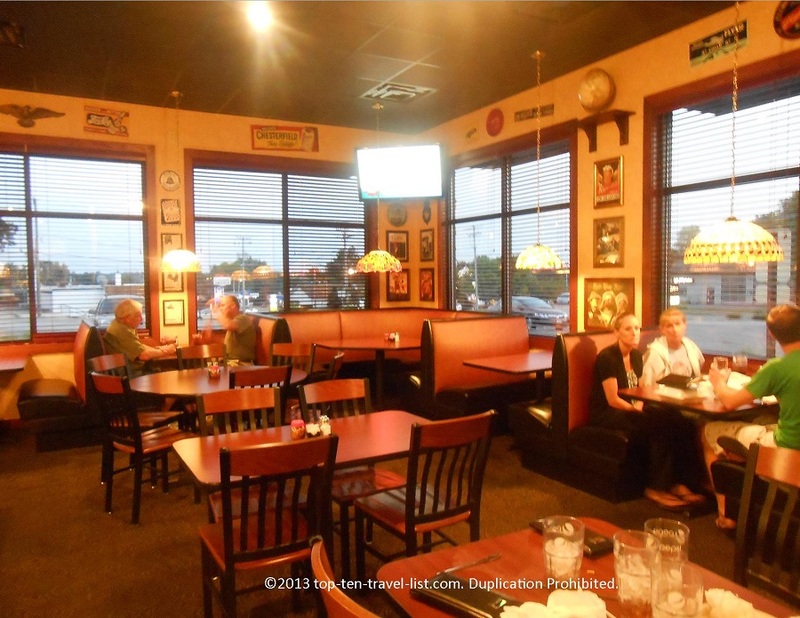 The dining area is large and comfortable with a lively bar, several large screen TVs, and antique memorabilia adorning the walls. I was pleased with my entree choice, Spinach Artichoke Ravioli. The spinach and artichoke stuffed ravioli was excellent, although the Alfredo sauce could have been a bit creamier. It was a bit too thin for my taste. The included side of garlic bread went well the ravioli. 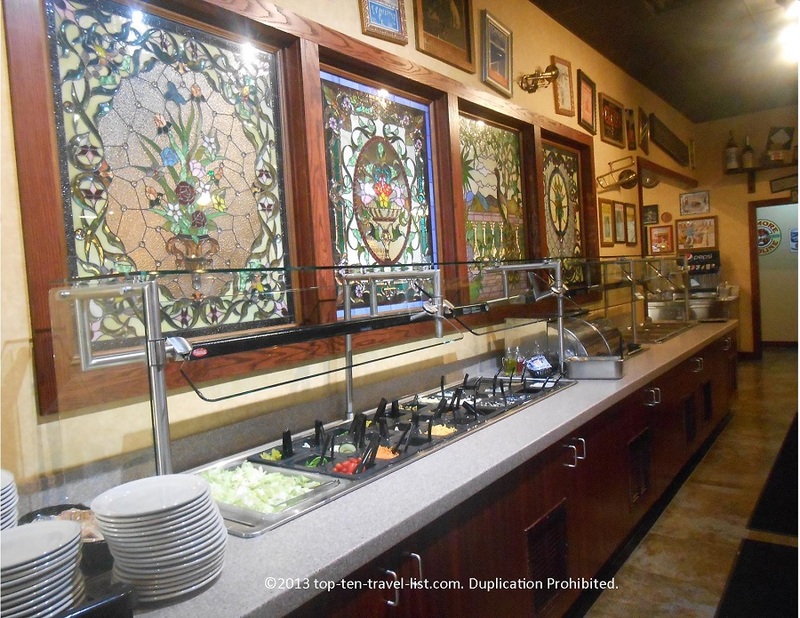 With any entree, you have the option of adding the salad bar for an additional $4. The salad was okay; there were plenty of options in terms of vegetables, although I would have preferred darker lettuce. Check out the beautiful stained glass! My boyfriend ordered the chicken and mushroom pizza. He enjoyed it, although would have preferred bigger chunks of chicken. A few people at our table ordered the popular Spaghetti pizza, a local favorite. 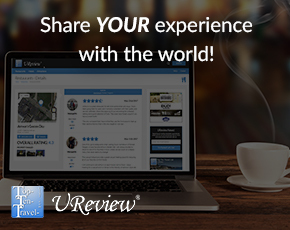 I recommend trying it out on your visit (I don’t eat meat, so unfortunately I can’t give my personal review!). Overall, Angelo’s is a great choice for Italian dining in the Dixon area. 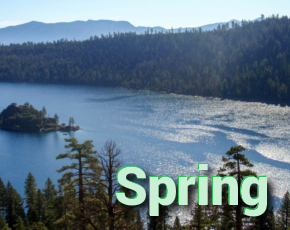 The relaxed atmosphere, menu variety, and great local pizza make it a fantastic gathering place.